For safe and efficient oxygen cylinder storage. Please call 866-737-7247 to order. 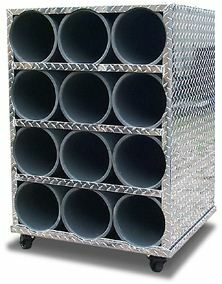 Polished diamond plate aluminum and sturdy cylinder tubes with optional portable rack dolly. 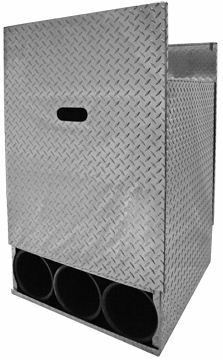 The SCBA cylinder rack is available for mobile applications such as fire trucks and mobile air trailers. Please call or email for Specifications. to protect the various composition materials available in self contained breathing air cylinders. and accessories you desire. Call us today at 866-737-7247.